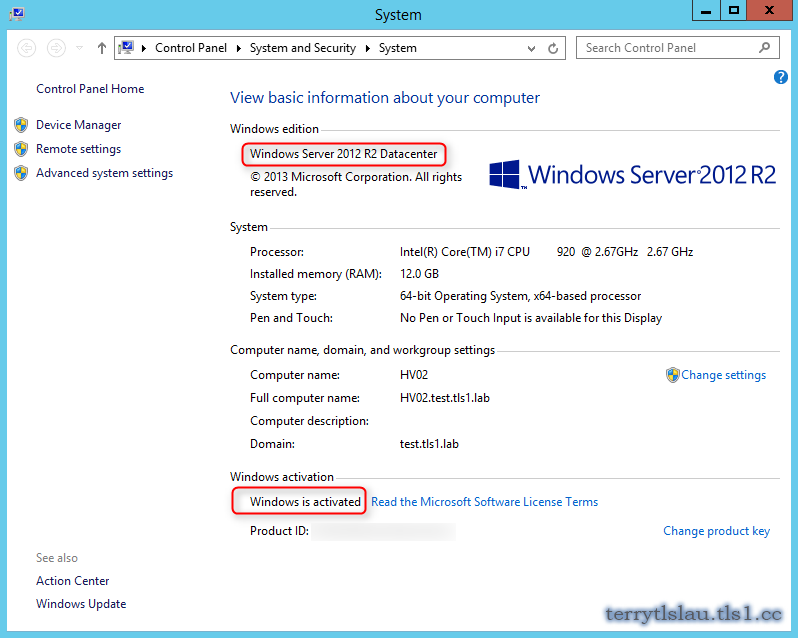 Automatic Virtual Machine Activation (AVMA) is a new feature in Windows Server 2012 R2 with Hyper-V role, the feature is applied to activate licenses of virtual machines which are running Windows Server 2012 R2 Standard, Windows Server 2012 R2 Datacenter and Windows Server 2012 R2 Essentials. There are no product keys to manage and no stickers on the servers to read. The virtual machine is activated and continues to work even when it is migrated across an array of virtialization servers. Service Provider License Agreement (SPLA) partners and other hosting providers do not have to share product keys with tenants or access a tenant's virtual machine to active it. 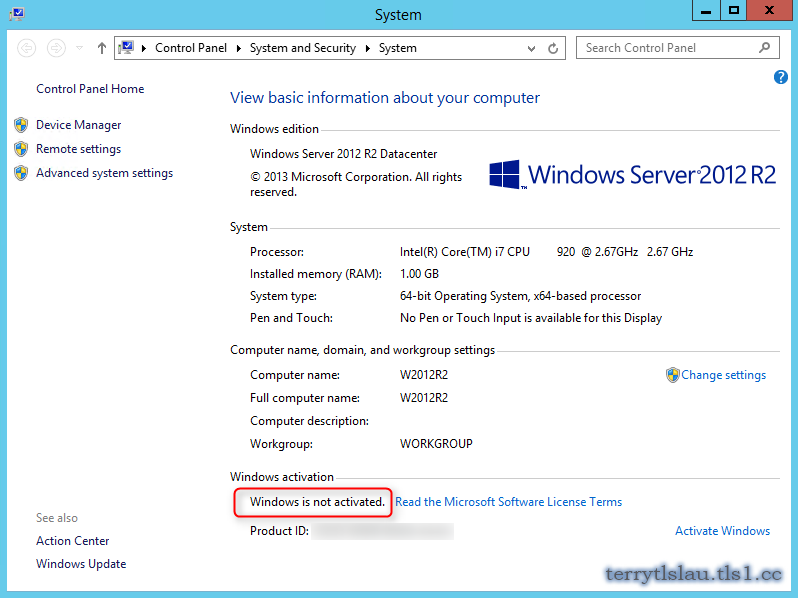 Virtual machine activation is transparent to the tenant when AVMA is used. Host provides can use the server logs to verify license compliance and to track client usage history. 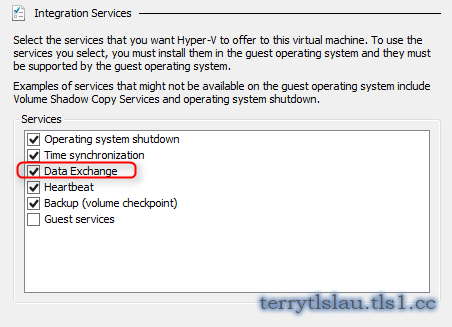 Using Automatic Virtual Machine Activation (AVMA), there are the following requirements. 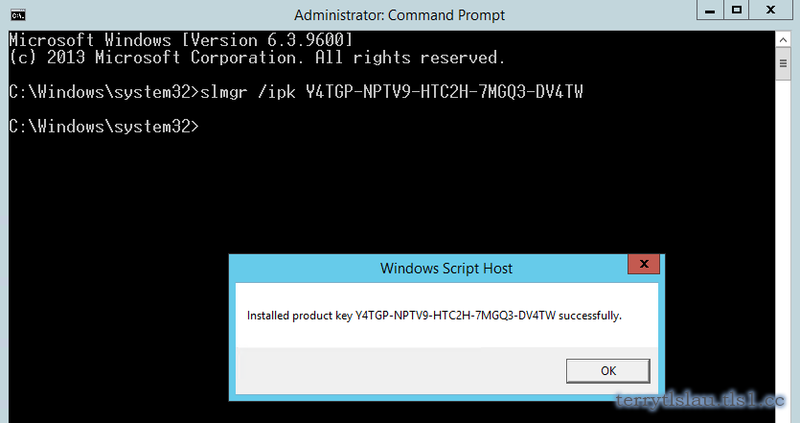 Using AVMA key to activate a virtual machine. 1. On W2012R2, log in as Local Administrator. 2. 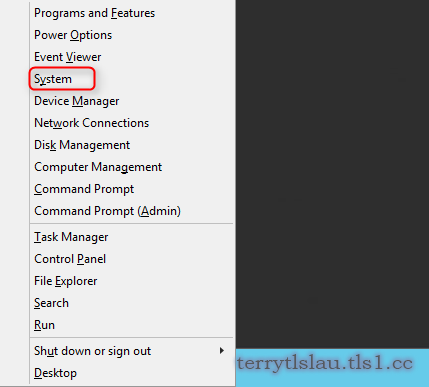 Press "Windows Key + X", select "System". Now, this virtual machine hasn't been activated. 4. 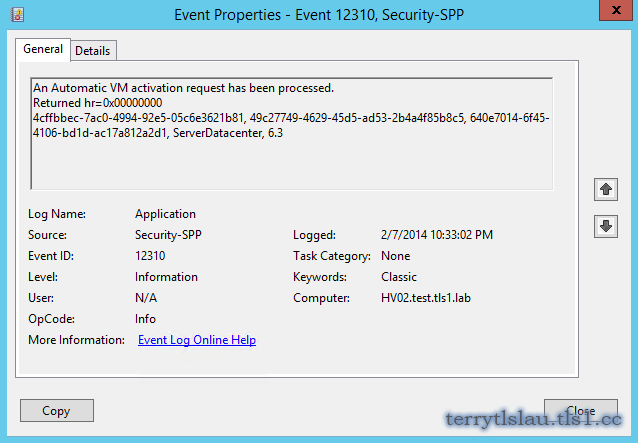 Perform "slmgr /ipk <AVMA_Key>" to activate the Windows. Remark: The AVMA keys can be found in Automatic Virtual Machine Activation web site. 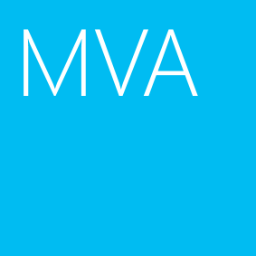 Remark: Microsoft suggests employing the AVMA keys in any unattend.exe setup file. 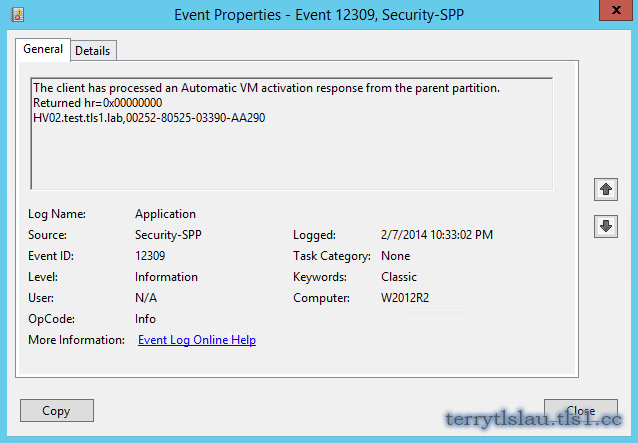 According to Activating virtual machines via Automatic Virtual Machine Activation in Windows Server 2012 R2, we can locate to application log of event viewer in a virtual machine and Hyper-V host to verify the activation process.